New York City’s big beverage ban, named by the residents “portion cap,” is endured just for one day. New York Supreme Court Justice Milton Tingling issued a permanent injunction preventing the city from implementing the plan. The obesity is a real problem in US, and here in Europe we can’t even imagine the NYC big beverages and the “all you can drink menus”. The City Council decree was for sure a good contrast measure, but it’s indubitable that it was also an unacceptable restriction of economic and individual liberty. The ban wasn’t unpopular just with businesses. A recent poll found that 51% of New York City residents, were opposed to the new regulation. 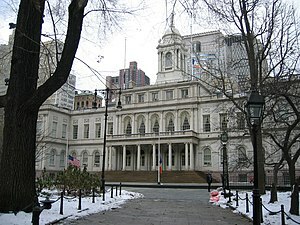 Major Bloomberg confirmed that the City Council will appeal this ruling.